It’s been about 2 weeks since we said goodbye to 2014 and hello to 2015! 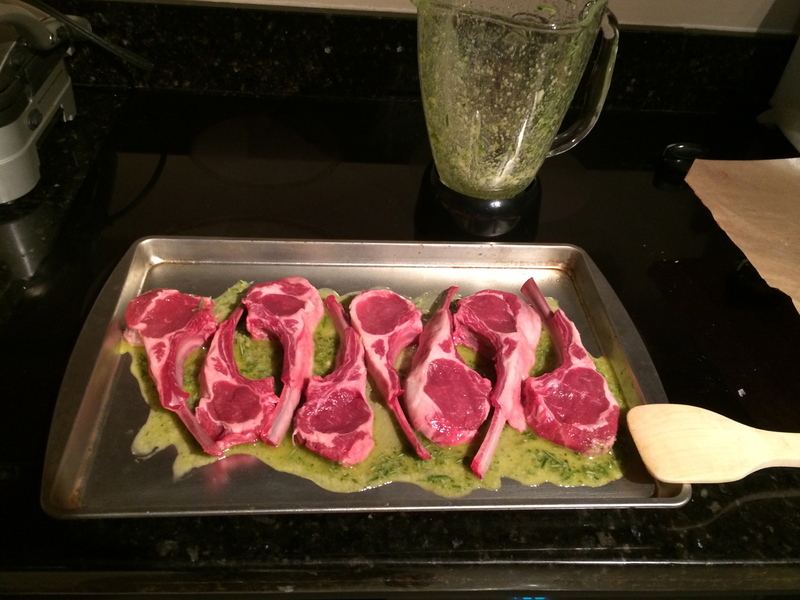 And I finally have a chance to post about the last meal I cooked for 2014. I think it was pretty successful! I saw this recipe in my Food & Wine magazine and knew I had to try it. 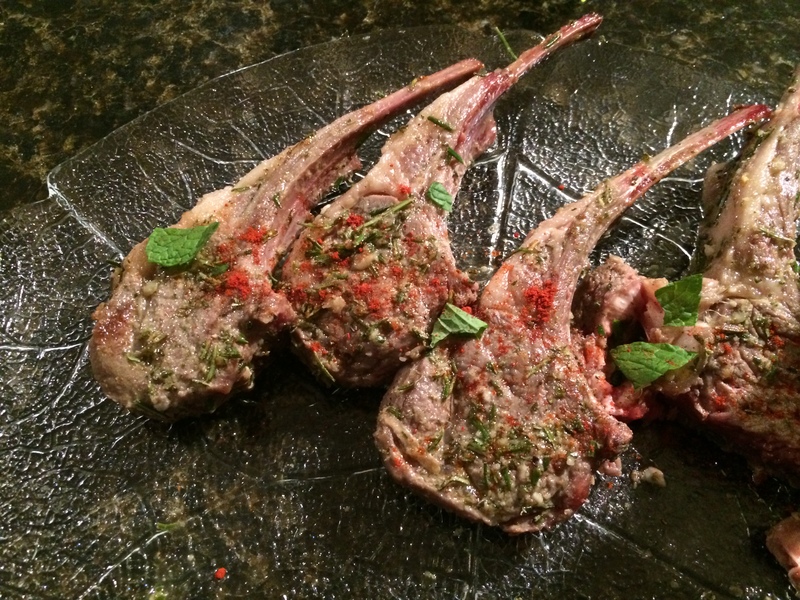 It may seem like regular grilled lamb chops but this one had a few different ingredients like paprika and plenty of rosemary. 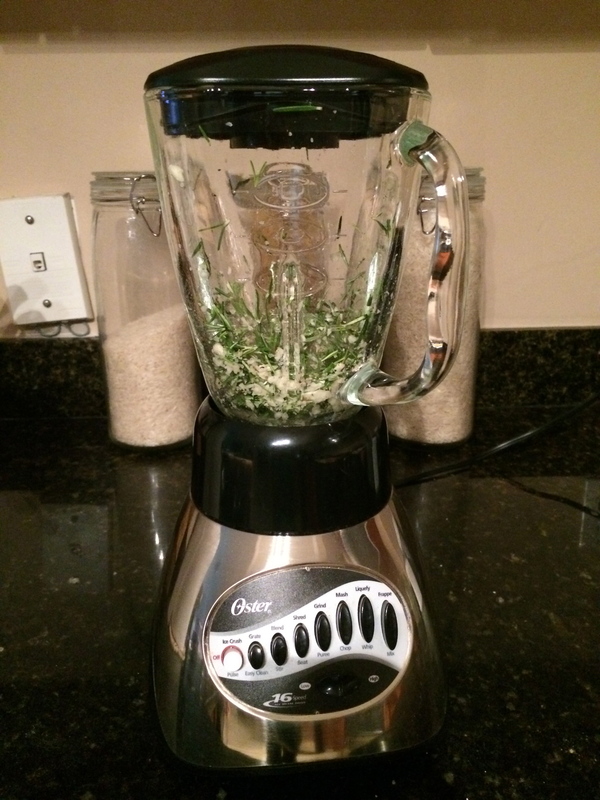 First, you’ll need to pulse the rosemary, garlic, salt & pepper in a blender. With the blender on, add the olive oil. 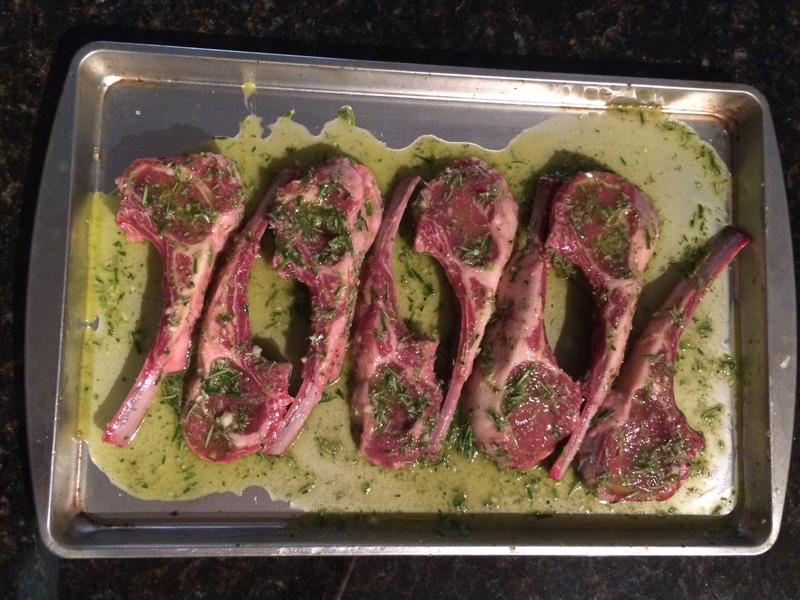 Then coat the lamb chops on both sides on a flat surface and let them marinate. After you’ve let them marinate, the next part is pretty easy. You can either use a grill pan or a grill. I just have a counter top Cuisinart Griddler and that worked well but next time I definitely need a regular grill because it makes a difference taste-wise. The recipe recommends grilling each side for about 6 mins or until they are nicely charred. I like mine on the rarer side. 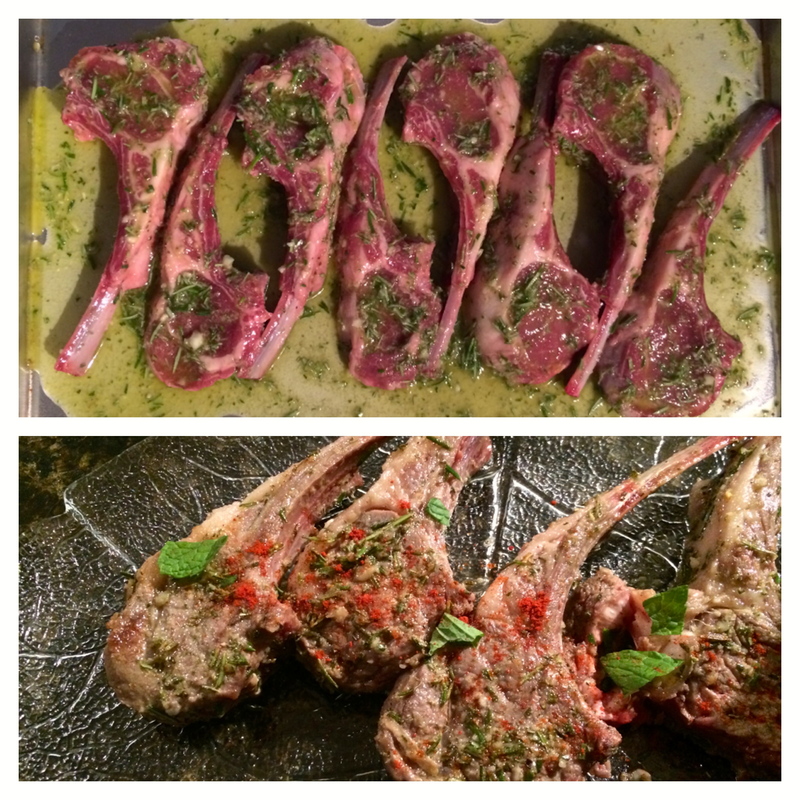 Right before serving, garnish the lamb chops with some mint leaves and pimenton (or paprika) and a drizzle of olive oil. Here’s part of the finished product. We served it so fast I couldn’t get a better picture (haha). 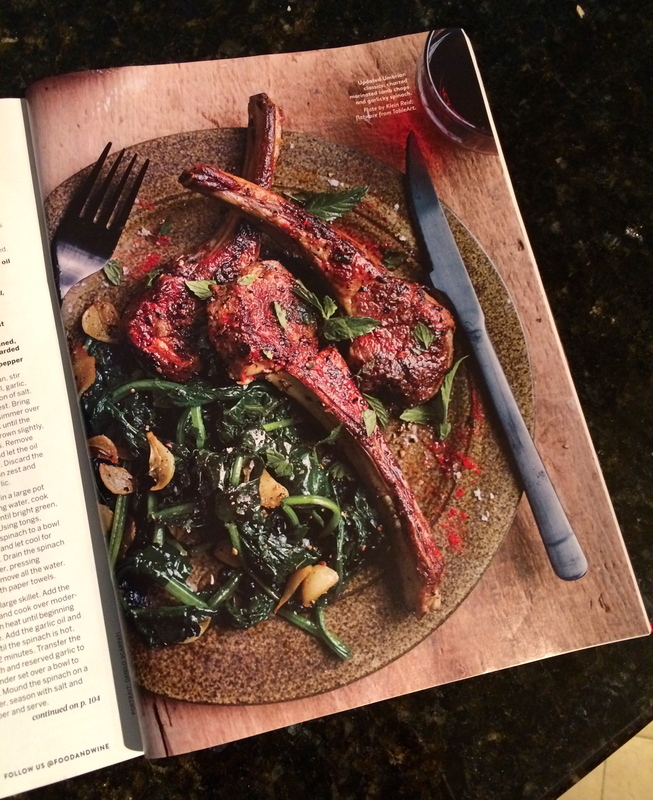 The recipe can be found in Food & Wine magazine, January 2015 editiion, on page 96 with picture on page 97.